I have four of their polishes to show you, two have a beautiful foil finish, 1 is a beautifully jelly packed with glitter and then the final one is just a complete glitter bomb. First I have this beautiful chrome light blue polish called Twilight, this was fully opaque in just 1 coat and the brush strokes weren't actually that bad. I would definitely be careful with how much you manipulate this one, the 3 three stoke method will get the best results. This polish dries so fast and can also be used for stamping if you work very quickly. 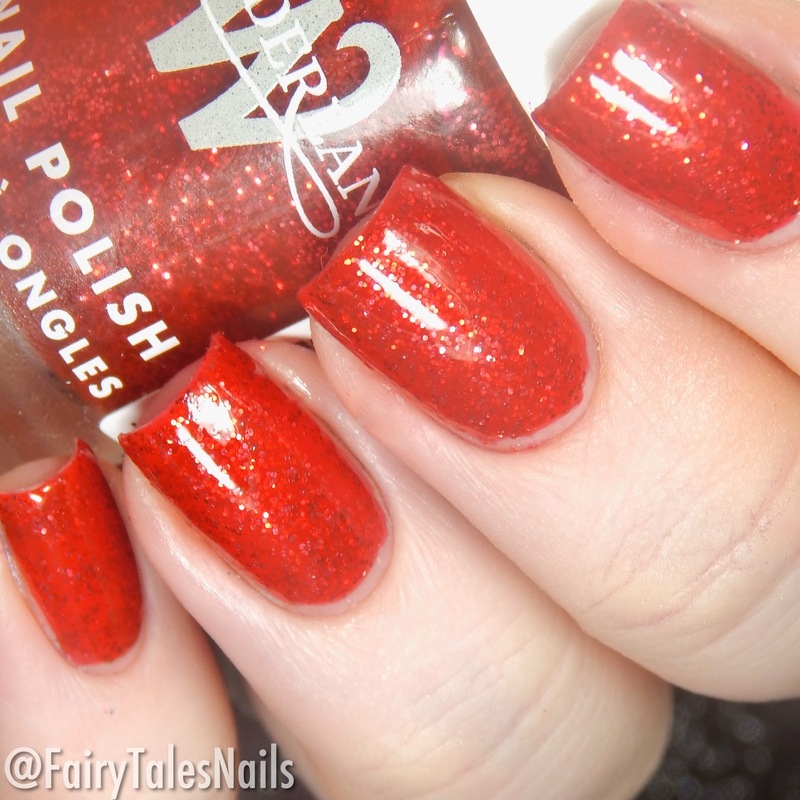 The second polish is Ruby Ruby, a stunning bright red jelly base full of red micro glitter. This one was fully opaque in 2-3 coats and applied really nicely. 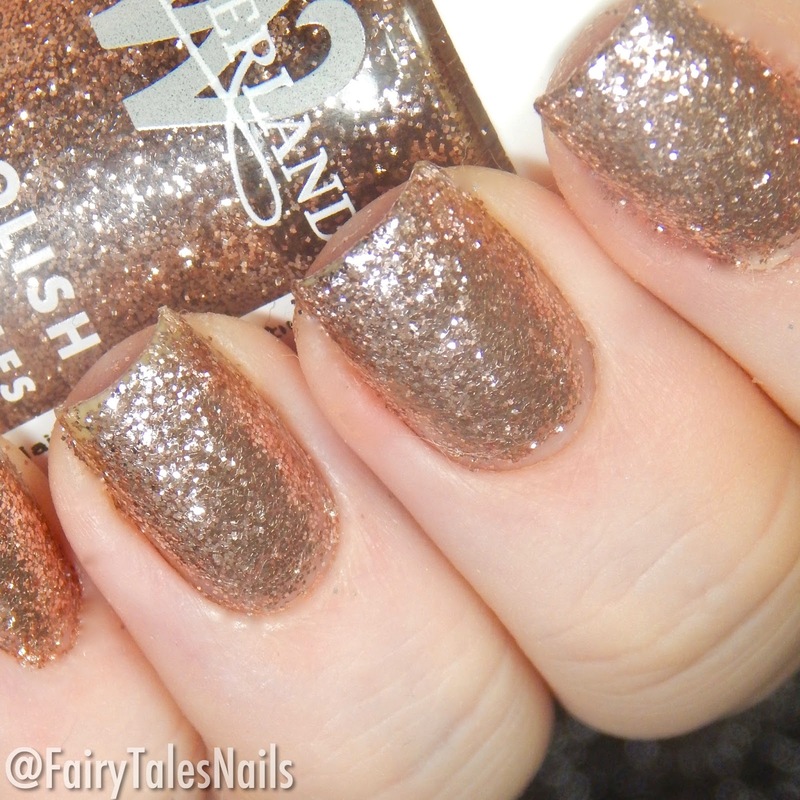 This would be a great polish for the holidays, definitely one you could wear to all those upcoming Christmas parties. Be Fabulous is a really gorgeous glitter bomb, this has a clear base packed full of rosey gold copper metallic glitters. This built up to full opacity in 3 coats but you could probably do two if you were sponging it on. This another one fantastic for the holidays, if you are looking for an eye catching overload of glitter for your nails this one is definitely for you. The final polish is another chrome, Urban is a dusty pink fully opaque in 1 coat and really easy to apply. Again the formula was nice to work with and I didn't have too much of an issue with streaking. Overall I really liked these polishes from Wonderland Makeup, they were easy to use, had a nice formula and plenty of finished to choose from. They offer a wide range of nail polishes in different finished as well as makeup products. The polishes are priced at £6 for a 10ml bottle and all made here in the UK, they also offer worldwide shipping. I will leave links for Wonderland Makeup's store and social media down below so you can go browse through the products yourself. Which of these is your favourite? I'm not sure I can chose, but I really do love those chrome polishes. Really nice to wear in the colder months and you only need 1 coat so no hanging around for ages for the polish to dry, just swipe and go. Let me know your thoughts down in the comments. Big thank you to the lovely people at Wonderland Makeup for sending me these polishes to review. As always guys hope you have a really lovely day and I will chat to you all again soon. I love the ruby ruby! Great post! Ruby Ruby is a pretty one! I love Ruby Ruby - the sparkles and red go so well together. Lovely swatches! I like that chrome finish even though I wonder how well it would wear over time. Gorgeous swatches. I haven’t heard of this brand before your post, but I’m loving these polishes. Ruby ruby is perfect for the holidays! Ruby Ruby is perfect for the upcoming holiday season!!! Ruby Ruby is so so good!! 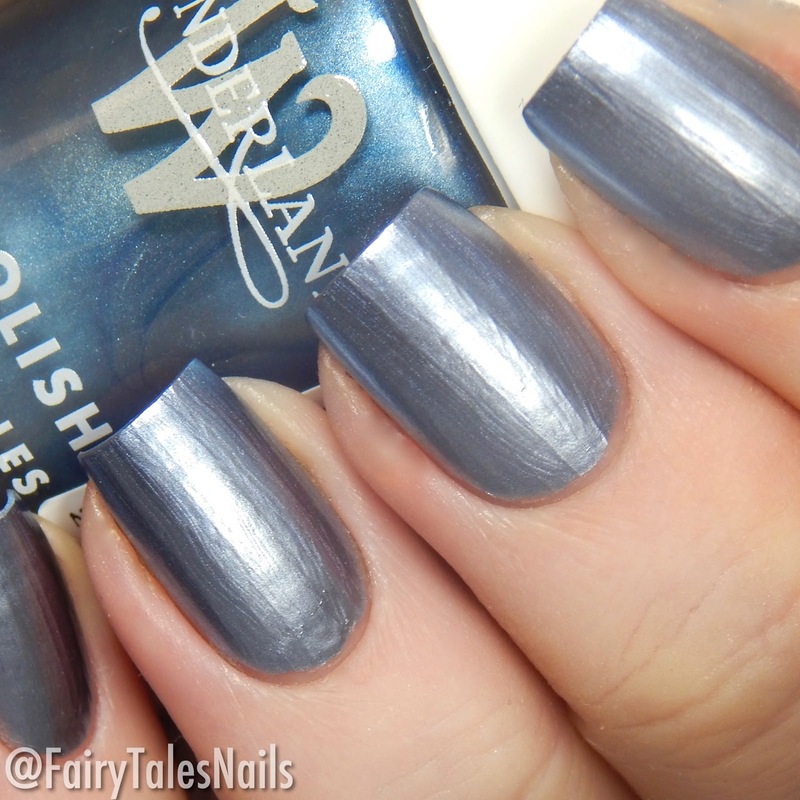 Ohhhh, be fabulous and urban are soooo pretty!